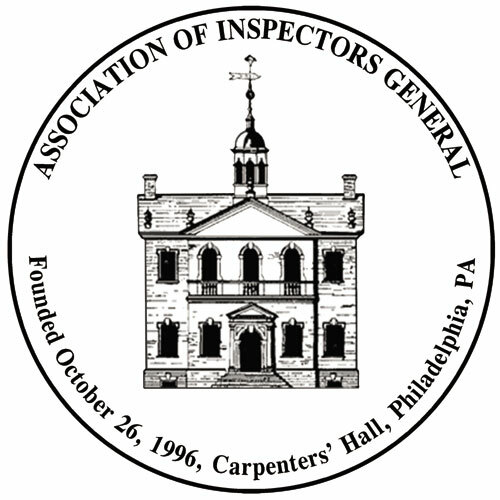 January 12, 2010 – 8:00 a.m.
Steven Pasichow called the meeting to order at 8:15 a.m. Steve welcomed all to the Charter meeting of the New York City Metropolitan Area Chapter (“Chapter”) of the Association of Inspectors General (“Association”). Handouts were given out that consisted of a copy of the Chapter By-laws that was approved by the Association’s Board of Directors, as well as the meeting minutes of the last Regional Inspector General meeting on October 15, 2009, at which it was voted to establish the Chapter. Also handed out were two sheets of paper comprised of proposed amendments to the By-laws. Steven Pasichow moved for a motion to approve the October 15, 2009 meeting minutes. Ned Schwartz made a motion. Ned Benton seconded the motion. Motion passed. Steven Pasichow opened up for discussion proposed amendments to the Chapter By-laws. In particular Article III-Membership and Article IV-Board of Directors. Attached are the amendments that were proposed. After some discussion, Pat Russo made a motion to approve the Article III amendments and Steve Perez seconded the motion. Motion passed. After some discussion, Bob Joyce made a motion to approve the Article IV amendments and Chris Prather seconded the motion. Motion passed. Steven Pasichow opened up for discussion what the Chapter membership fees ought to be. There was discussion of setting the fee at either $20 or $25. The consensus was that the fee should be $25 per year. Then a decision was made to establish the student membership fee at $10 per year. Ned Benton made a motion that, since we are currently in the middle of the Association’s fiscal year, that the initial membership fee be good for an 18-month period, ending June 2011. This would bring the Chapter in line with the Association as to when membership fees are due. Bob Joyce seconded the motion. Motion passed. Steven handed out an example of an application from the Tallahassee Chapter. Once an application is prepared, it will be distributed so that people can apply for membership to the Chapter. Election of Board of Directors – There was only 16 of the 32 individuals present that were interested in being Board members. All those present voted in favor of allowing those 16 individuals to be Board members. Steven Pasichow opened up for discussion the need for everyone to actively participate in the Chapter and that we would be establishing some committees. In particular, one of the most important one would be the Training Committee. In order for membership to grow, training is going to have to be a large part of what the Chapter brings to the OIG community. Steve asked for volunteers to participate on the Committee. Those expressing interest thus far are: Barbara DiTata, Marcus Rivera, and Ann Ryan. Robert Joyce made the motion to adjourn. Ned Schwartz seconded it. Motion passed.